Sewage System Grinder Pump for Your Basement- Armchair Builder :: Blog :: Build, renovate, & repair your own home. Save money as an owner builder. Does my basement need a grinder pump? Why do some basements need an ejector pump for floor drains and bathrooms? 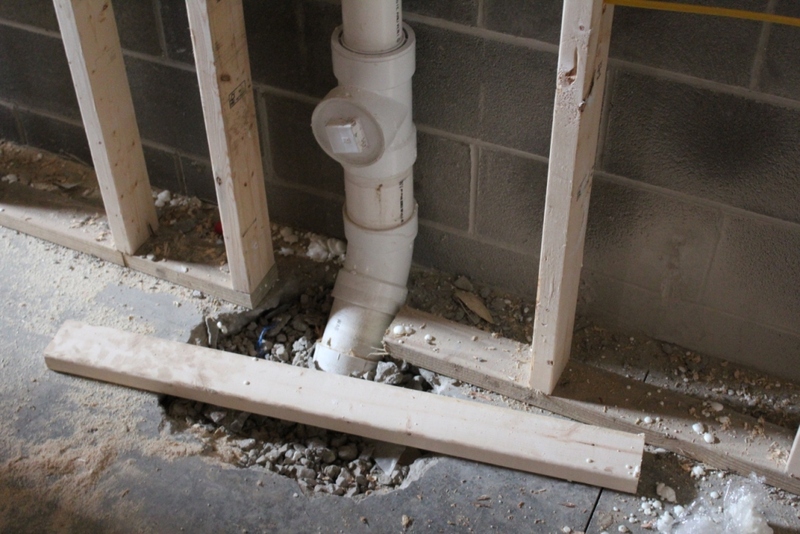 Why do some homes have a sewer line coming in under the footing and others come in through the basement wall? So we created a quick video to try and answer your sewage system questions. In order to talk intelligently about the sewage system coming to your home, we need to discuss the sewer main at the street. Most municipalities require land developers to install the main sewer line under the road. This main pipe under the road flows by gravity either to a pump station or to the sewer treatment plant. Whenever it’s possible, engineers will design the system to flow by gravity all the way to the plant. However, sometimes it just doesn’t work out that way either due to rock in the ground or because of hilly conditions which would make the sewer pipe way too deep. Either way, the sewer main at the street will flow by gravity to either a pump station or the actual treatment plant. So each house that has access to a city sewage system, will flow by gravity from the house out to the main pipe at the street. In rare circumstances, it is necessary to install a pump to get the home’s sewage out to the street. This might happen due to rocky condition or due to a low lying lot. In the best case scenario, the sewer lateral or service line will come into the home under the footing. This allows all basement floor drains and bathrooms to flow into the service line by gravity. When the sewage system main pipe at the street is too high, the service line will need to come in through the basement wall. In this scenario, the house will need an ejector or grinder crock with a pump to lift the sewage from the basement up the sewage system service line coming through the wall. Then it will flow by gravity out to the main pipe at the street. Mechanical Failure – Any time you have a mechanical system, there’s potential for failure…and they typically happen when you least expect it. Clogs – These pumps are not designed for cloth items or toys. If the wrong thing goes down the toilet, you may have a clogged system to deal with. Cost – By the time you add a crock, pump and the plumbing and labor, the installation gets expensive. How can you review the sewage system prior to buying a lot? Check with the local sewer department to see if they have drawings you could review. Most developers are required to give the municipality a full set of drawings showing the location and depth of all sewer lines installed. By knowing the depth of the sewage system main pipe in front of a lot, you can determine if the pipe to the house will come in under the footing. Figure a two percent slope on the pipe coming up from the main at the street. You can also estimate the basement floor to be approximately seven feet below existing grade. You may want to verify this with your civil engineer. If you can avoid installing a sewage system grinder pump in your new home, it’s wise to do so. If not, be sure to communicate to family and friends using your basement bathroom what can and cannot go down the toilet. Are you thinking of building a new home? Be sure to stop by our ESTORE to see our money and time saving resources for owner builders. You really can build your own home with a little help.